Churmundo is my favourite laddoo and liked by family too at home. This laddoo tops the favourites of many amchis/GSB/Konkani people and is prepared on different ocassions and festivals in Konkani community. They are prepared from simple ingredients like wheat flour, ghee, sugar,cardamom, raisins and nuts. Vvariations in the recipe can be seen such as adding besan/chickpea flour, rawa or sooji to the above ingredients. You need to have experience and know the knack of preparing these laddoos. Once you get that, you would find this preparation very easy. The best ones literally melt in your mouth and taste yummmmmmmmmmm. You have one and you feel like having one more and more and more. As a kid, I used to gobble down as many as possible when mom used to open the container that stored these laddoos. The batch would empty sooner than expected thus forcing her to prepare them again. Raisins [optional] roasted in ghee fistful. Take sugar along with cardamom in a mixer and grind into fine powder. Keep it aside. In a pan, heat 1 tsp of ghee, roast the chopped nuts and raisins. Keep them aside. Now add the wheat flour to the same pan. Stir continuously on low flame for 20 minutes. Add remaining ghee in parts and mix it well with wheat flour. Fry it till you get a nice aroma. Take care to do so on low to medium heat only. [High heat may burn the flour and the laddoos would taste bitter]. Switch off the flame. Allow it to cool down. Once it cools down a bit, add the mixture of powdered sugar, cardamom, roasted nuts and raisins. Mix well and ensure there are no lumps. 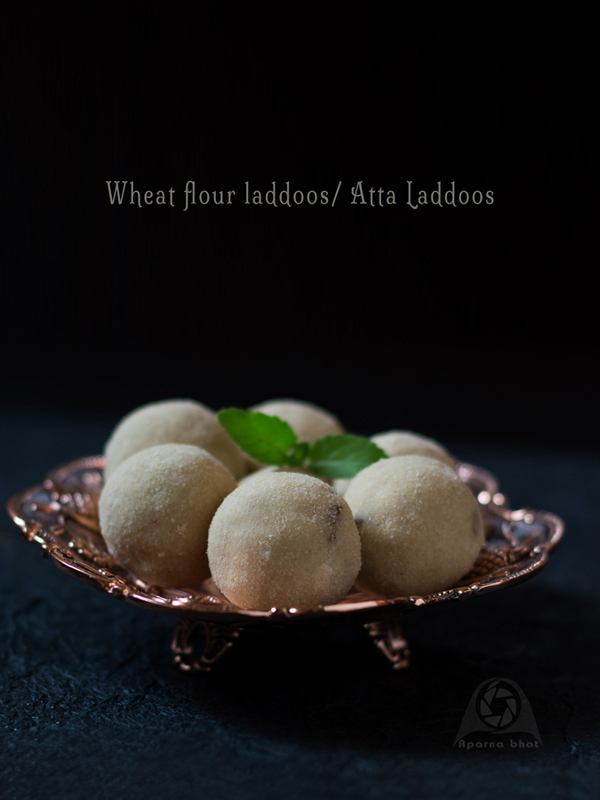 Take a fistful of mixture in ur palm, press the mixture, tighten and loosen the fist alternately to shape the mixture into round smooth laddoos of preferred size. 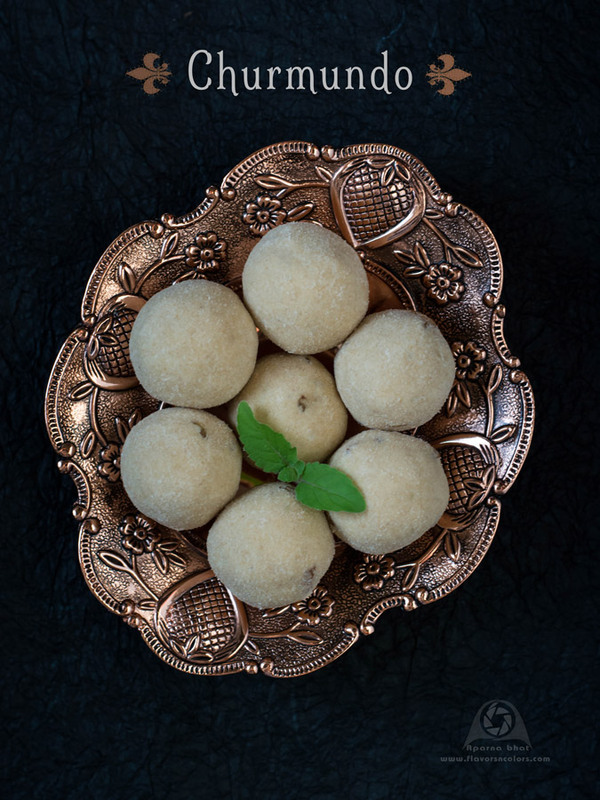 If you find difficulty in binding the mixture then grease your palms with little ghee and make these laddoos till the whole mixture is used up. You can garnish each laddoo with a raisin or cashew while binding. Store them in airtight containers.